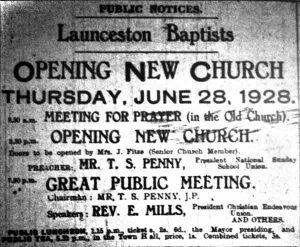 The history of the Launceston Baptist church. | Launceston Then! There was a Baptist church in Launceston as early as 1791. This is established by an old Launceston Baptist church minute book which begins with the statement; ‘A testimony of the truth as it is in Jesus, or a confession of the belief of the truths and doctrines of the everlasting gospel, practised and maintained by the church of Christ who now assemble for religious worship at St. Thomas meeting in Launceston (and now March 25th, 1791, at South Gate, Launceston).’ There was an agreement signed at this first meeting between eight men and three women with the Rev. Mr. Hugh Giles officiating. William Lenn was one of the men to sign and was the great-great-grandfather Stanley L. Gould who was president of the Devon and Cornwall Baptist association for 1943-44. Another of the signatories was Jacob Grigg. In March of 1793 Jacob was recommended to go to the Academy at Bristol to study for the ministry, and afterwards to return to the church at Launceston as Pastor. Jacob however never returned to the town, instead becoming one of the earliest Baptist missionaries ending up as a successful minister in America. He was at the fore front of the ant-slavery movement and was being remembered some 140 years later when the black American GI’s were stationed in Launceston during the second World War. 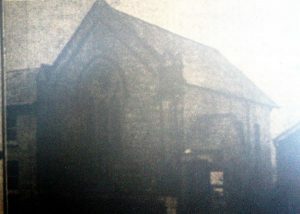 The Southgate Baptist church which was situated in what is now ‘Chings Alley,’ ceased to exist as an organised body in 1812, but its few stalwarts continued to be active in the district. In 1849 a Baptist church was founded in South Petherwin. 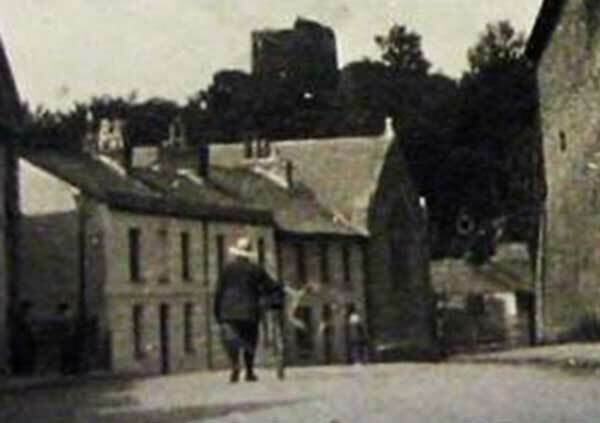 There are no minutes or records surviving of that church but the building itself survives to this day having been converted into two cottages in the late 1890’s (below left). In 1850 another church was established this time at Lifton. This church had at least one immediate link with the former church at Launceston with Dorothy Gould and her husband John being involved with its everyday life. Dorothy was a member of the aforementioned Lenn family. The chapel at Lifton was completed in 1851 and seated 150. The minutes of the Lifton church show that a Mr. W. D. Hanson was a prominent figure with the church. He was later the squire of Polyphant and was instrumental in the forming of a Baptist cause in that village in 1872, although this one was short lived. In 1855, there was some discussion about raising the pastor’s stipend, sharing it with the South Petherwin Baptist church, but this idea never came to fruition. In 1861 another church was formed at Greystone bridge and the following year, the Congregational church at Launceston, which had been responsible for this small church, made an arrangement with the Lifton Baptist’s to share its responsibilities. In 1863, a preacher’s plan was drawn up to embrace Lifton, Greystone, Bulford (of which there is no record) and South Petherwin. The following year a church was established at Sourton. George Parker who became a minister in 1874 writes in the Lifton minute book on the 26th of March 1876; ‘Comd. Preaching the gospel in the room for many years occupied by the Bretheren in Duke street, Launceston. We had nine in the morning and twenty-six in the evening. We hope to continue the service here, and to work it in connection with Lifton.’ The service did continue and the church at South Petherwin, as previously mentioned, moved to Launceston with the building being sold for £75 in 1890. The Baptist House in Dukes Lane. By may the cause was well established in Launceston and a permanent agreement was drawn up with the owner of the hall in Duke’s lane just off Northgate Street (left). A Mr. John Wilson was the first preacher at Launceston with the church being formally constituted on the 12th of October 1876. Messrs Pode and Gardiner were the first deacons and the church consisted of thirty-two members. Soon afterwards, Mr. Richard Peter was also appointed as a deacon. Other members of that early church were Mr. John Fitze another prominent member of Launceston’s community. In 1878 after John Wilson had left for another ministry in London, the churches of Lifton, Sourton and Launceston agreed to formally unite under one pastor. The following year another church was established at Thorn-cross, with George Parker preaching from a cottage. Within two years ground had been purchased and a church built with much of the construction being performed by voluntary labour and by framers giving free carriage for building materials. In 1884 it was free from debt. Launceston church was meeting in the Oddfellows hall at Western road. In 1891, the Rev. Henry Smart (right) took over and the following year he oversaw the Launceston church move from its rented hall to the new church built to a design by Otho Peter and constructed by Mr. G. H. Strike just up the road opposite the Guildhall in Western road. The new chapel seated 130 people and had a basement for the Sunday school hall. Henry Smart left in 1897 to be followed by C J Leal (1898-1906), A E Knight (1906 -1908) and then D. Dighton Bennett (his son Dudley was killed during the first world war). Whilst the Launceston congregation was growing, the Lifton church’s was declining. This eventually led to the chapel being closed with the final service being held on Whitsunday 1916 and the building and its contents being sold in 1920 for £400. New Baptist Church, Western Road article from 18 March 1892. By 1927 the Western road building had grown to small for the thriving congregation which led to an ambitious extension programme. 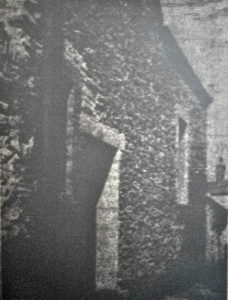 The old Chapel was sold, with it being subsequently converted into showrooms for the local Electricity Authority and the purchase of Madford house being made. Madford house stood in its own grounds and its newer wing was converted into a church by rebuilding an outside wall to enclose a larger area. The rest of the building was used for various church rooms, and also as a Manse. The full cost of the Madford house purchase was £4000, but a much of this was matched by the sale of the old chapel and the subsequent sale of parts of the gardens of Madford house. Most of the house had been built early in the 17th century and was quite likely to have been the first house to have been built outside the town walls. In 1645 it is said to have accommodated the then Prince of Wales, later Charles II when he was resident in Cornwall. The house though with its age, was to prove expensive in its maintenance, something that the church didn’t consider when it was first purchased. The foundation stone laying ceremony at Madford House in January 1927. Post & News, 8th January, 1927: Madford House, Launceston, To Be Sold. Madford House, Launceston, an old-fashioned residence, standing in its own grounds of roughly an acre, the property of the late Mr CL Cowlard, is to be sold by auction at the White Hart Hotel, Launceston, on Monday, February 7th. The property will be offered as a whole or in three Lots: Madford House, grounds and Lodge, 7.70 acres; Kitchen garden, 1.87 acres; stables and paddock 1.635 acres, while Windmill Lane cottages will also be sold in four Lots. It is pointed out that the property is peculiarly suitable for a private hotel or public institution, which, being situated in the middle of the town, is particularly ripe for immediate development. The auctioneers are Messrs. Rippon, Babinell & Co., Exeter, and the solicitors Messrs, Cowlard & Cowlard, Launceston, from whom plans and particulars may be obtained. 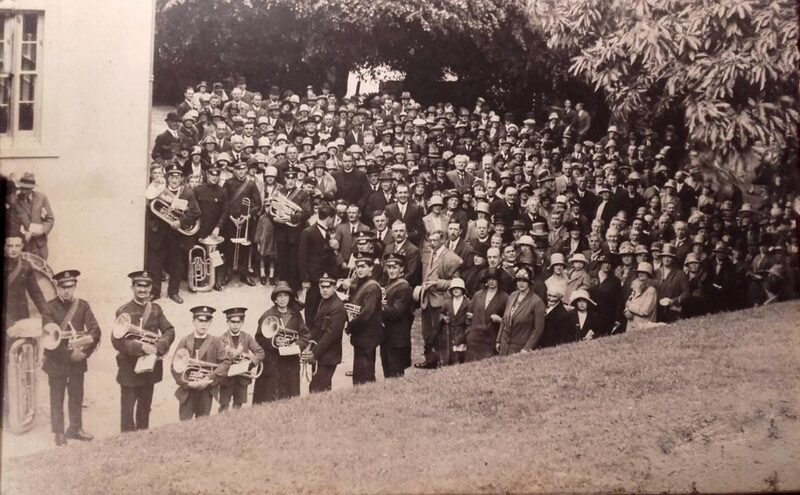 Baptist Church and Launceston Town Band at Madford in 1928. Photo courtesy of Richard Bickle. By 1935 most of the buildings purchase debt had been cleared and Rev H J Harcup had taken over as pastor.In 1936 the Baptist celebrated their diamond jubilee. He remained until 1945 and towards the end of his pastorate was simultaneously pastor of the Congregational church in Castle street, with whom a union was subsequently formed. 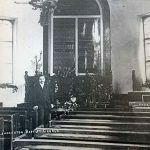 The Congregational church had been in decline for several years and in 1935, with a membership of only thirty seven it was decided to seek union with the Baptist church. A scheme for outright union was rejected by both churches in 1936. In 1940 it was agreed that church should exist separately, but worship with the Baptists. On the first Sunday of June 1940, the congregations united in worship under the ministry of the Baptist minister, H J Harcup. 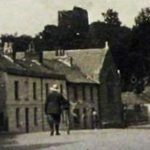 The two churches continued to worship in both their buildings, using each on alternate Sundays but by the end of the war, in 1945 it was agreed to seek full union, and to concentrate the work in the Congregational premises. 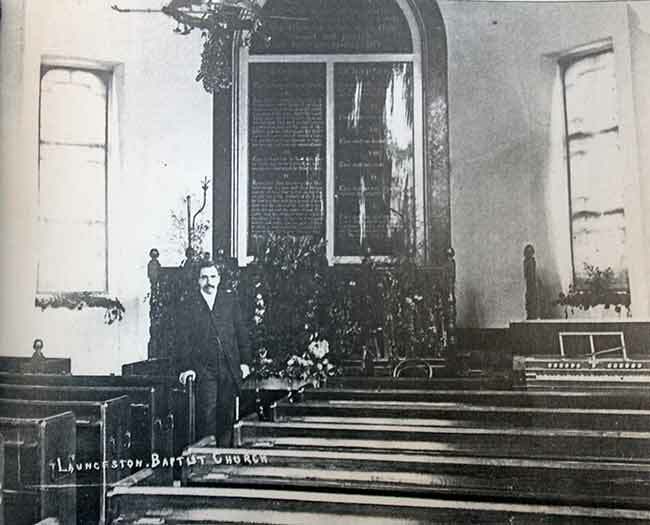 Even though the Congregational chapel was in a less convenient part of the town, it was far larger and better suited for worship. H J Harcup left at this time being replaced first by W P Hodge and then K E Hyde who was responsible for the implementation of uniting the churches. Madford house was leased to the Ministry of Works for office accommodation. The income derived for the lease of Madford house was completely taken by the extensive programme of building repairs to the said building, plus the renovation of the Castle street premises. Subsequently, F R Jewry, another Baptist, accepted the pastorate. He was a native of Launceston who married Miss Margaret Gardiner, a daughter of Mr. H. Gardiner, a former Deacon and lay preacher. 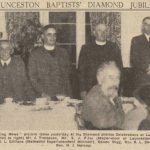 After ministries in various parts, he returned to Launceston and began his ministry there in 1949, remaining until November, 1953. He was followed in December of that year by the Revd. W Howard Smith, a Congregational minister whose ministry was greatly appreciated and richly blessed. He remained until failing health and eyesight compelled him to resign at the end of March, 1956. In November, 1956, Rev. R W Carr commenced a brief ministry, which terminated the following August, and, owing to the lack of support, it was then decided to close the church. The Devon and Cornwall Baptist Association and the Devon Congregational Union disposed of the two churches and devoted the money to the establishment of new churches elsewhere. 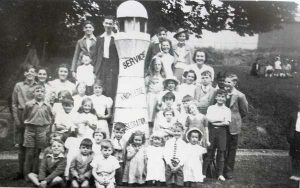 Baptist Church Sunday School children display their lighthouse of service, knowledge and consecration in 1941. Looking towards the Baptist Chapel in Western Road. c.1900. The interior of the Western Road Baptist Chapel. 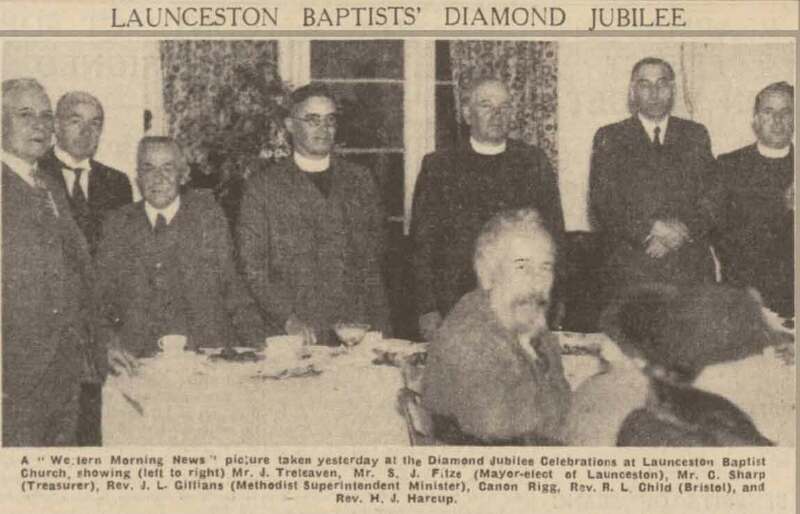 Launceston Baptists Diamond Jubilee dinner at Madford House in 1936.